0:10Skip to 0 minutes and 10 secondsHi, my name is Muriel Huet. And I'd like to welcome you to this online course on working with short film in language teaching. If you sign up to this FutureLearn course presented by the BFI and our partner Into Film, it's because you're curious about how film can help you teach or learn languages. Over the last 10 years, I've been a teacher of languages and a teaching consultant in the UK. I've actually taught all over the world. And everywhere I go, I find that introducing film into my language teaching really excites in ways that other lesson content doesn't. I was a member of two research projects using film in language teaching, both run by the BFI. 0:48Skip to 0 minutes and 48 secondsTogether they built up a powerful case and lots of evidence for the power of film, and short film in particular, in teaching and learning languages. 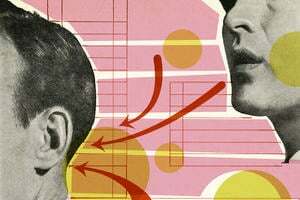 As a learning medium, film is much more immediate and certainly more tempting than textbooks, and offers all of the speaking cues and scaffolds we're used to in real life like facial expression, gesture, and authentic accents. Using film in language teaching can also offer a wide range of activities suitable for all abilities, challenging the most able students or supporting the ones with barriers to learning. 1:23Skip to 1 minute and 23 secondsIf you have tried working with film in your teaching but have been concerned that the technology is complicated, or you need to film studies degree or you simply don't have the time, don't worry. The way we work with short film is quite straightforward. From playing with sound, still images, or using story, to try out simple technologies like iMovie and PowerPoint, we have developed a series of activities that many teachers have found transformative. We'll talk to teachers and educators in different classroom settings about the experience of using short film in their language teaching, to leading experts in language education, and of course to young people themselves who have benefited from working with film in their language learning. 2:06Skip to 2 minutes and 6 secondsBy the end of the course, you will be able to confidently explore how short film can support and enrich your language teaching objectives. So I hope you enjoy this course and by the end of it you feel confident enough to bring a little film magic into your language classroom. Let’s begin with a question: How can film make language learning more effective and engaging? If you’ve signed up to this course, you probably want to know. There are numerous ways of answering this question, and we will cover these over coming weeks. We hope that this course will provide you with exciting ways to incorporate film into your language teaching, as well as showing you dimensions of film that you might not have been aware of, with simple ways of how to explore and exploit these in your lessons. 1. Develop your understanding of the ways in which short film can support language learning. 2. Be able to design effective and engaging learning materials and resources for teaching languages with film. 3. Learn about some of the basic elements of film narrative and film language to use with learners. What is special about film as a medium for language learning? What distinguishes it from other resources, particularly the whole range of materials available on the Internet? 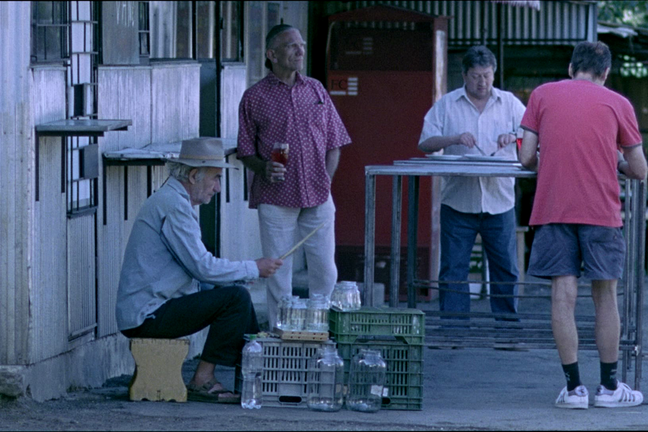 Film places language in context in a unique way; it presents aspects of culture in authentic settings, and it provides an accurate presentation of language in use. We’ve structured the course over three weeks to introduce the main elements of film language - sound, image, and how films manage time - and then weaved in the best ways of using it to support language learning. So, for example, listening to a film soundtrack can support learners to make inferences about what’s being said, or about the setting or location of the film. Then, as the teacher, you can build on these inferences with target language activity. The possibilities are endless. Below, we’ll introduce you to some of the people behind the course - you’ve already met Muriel, the Lead Educator, in the Welcome Video. But first, a few words about the sponsor organisations. 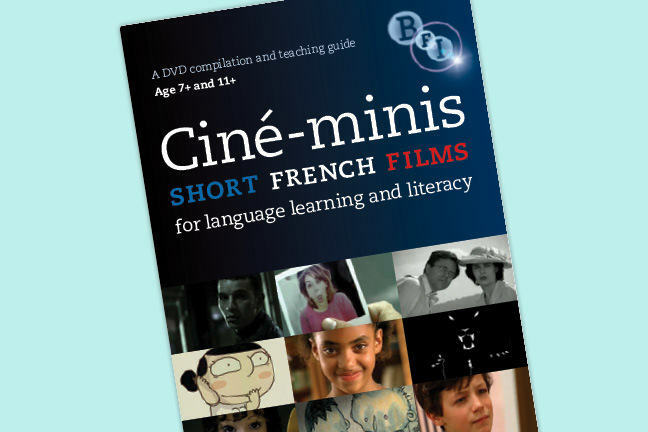 Since 2009, BFI has had an interest in the ways short film can support language learning. We ran two developmental projects to explore how: Reframing Languages in 2009/10, and Screening Languages in 2013-15. In each project we discovered the power of short film to engage and inspire people learning - and teaching - languages, and we want to share what we’ve learned with you here. The Course Team will be supporting you and interacting with you as the course progresses. The course team have also contributed to writing the course itself. Muriel Huet, freelance languages and film teacher and consultant, is our Lead Educator. Muriel has also created many of the resource examples used in this course. 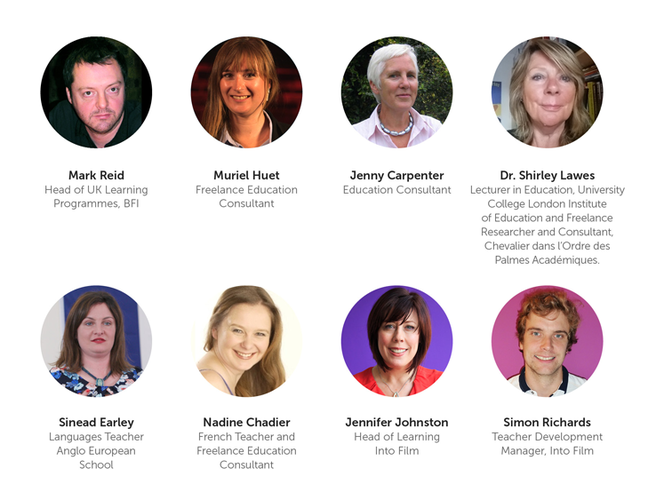 Mark Reid, Head of U.K. Learning Programmes at BFI, is another Lead Educator on the course. Don’t forget to follow our course team. Simply click on their profiles above and click on the Follow button. The following people also contributed to writing the course. This course was designed in association with Into Film. The Into Film contributors are: Simon Richards and Jennifer Johnston.